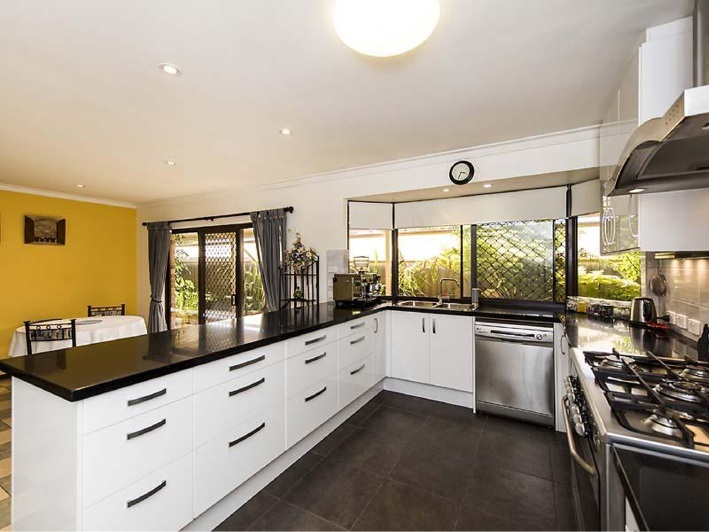 PRIVATE and secure behind a gated brick fence, this four-bedroom home is on a 1012 sq m cul-de-sac block. 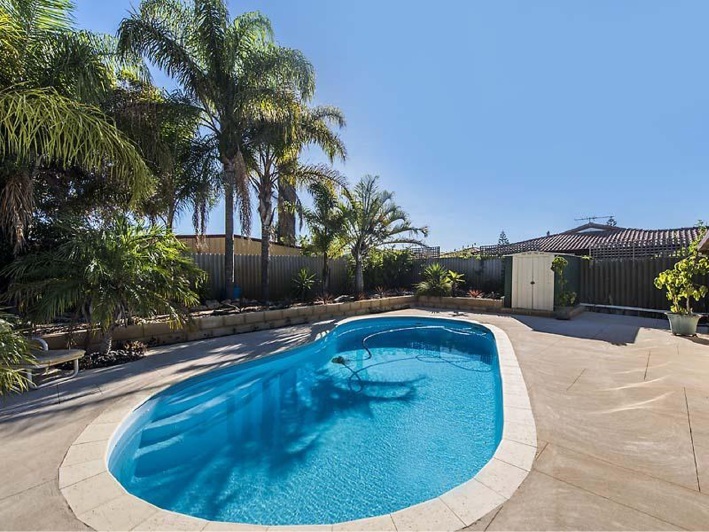 Easy-care, landscaped and reticulated, the block has a double garage, a lagoon-style swimming pool and a workshop with power and drive through access to the back yard. The house contains three minor bedrooms with built-in wardrobes and a study which could be used as a fourth bedroom, as well as a good-sized master suite with a private sunroom, ensuite and walk-in wardrobe. A corner kitchen, overlooking the casual living and dining space, contains stainless steel appliances and plenty of cupboard space. 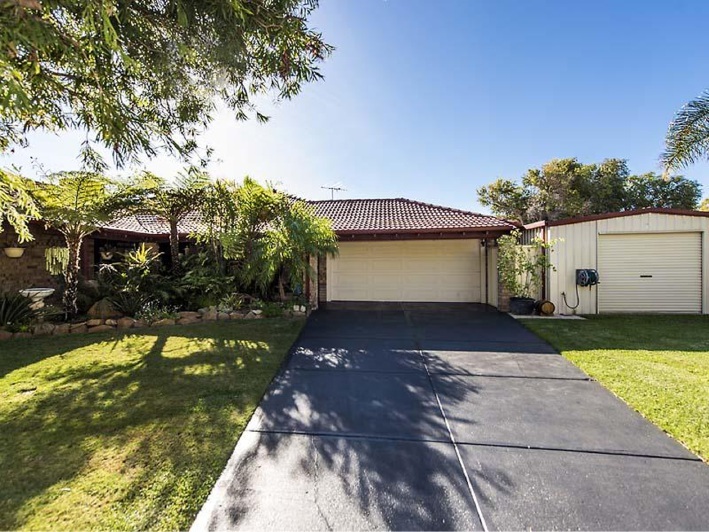 Along with a spacious and tiled entrance, evaporative airconditioning, security screened windows and security doors, the residence has a formal living room and a separate dining room.